In the last year alone, AMResorts unveiled five resorts and entered two new markets – Costa Rica and St. Thomas – for the first time. 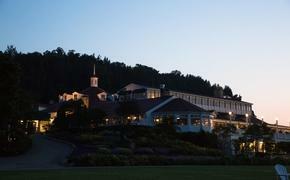 The company, however, is not letting any moss grow under its feet this year and next, with five more resorts scheduled to enter the company’s portfolio of properties. The numbers speak for themselves. By the end of 2016, AMResorts’ roster of resorts will include 41 hotels and 16,000 rooms in Mexico, Costa Rica, Curacao, the Dominican Republic, Jamaica, St. Thomas and Panama. This year, AMResorts will unveil Dreams Dominicus La Romana in the Dominican Republic this summer– its eight property in the country – and Secrets Akumal Riviera Maya in Mexico in November. In 2016, the company will open Breathless Riviera Cancun Resort & Spa, Dreams Playa Mujeres Golf & Spa Resort and Dreams Buenaventura Panama, the company’s seventh in that country. Last year’s November debut of AMResorts’ first resort in Costa Rica, Dreams Las Mareas, also marked the company’s entry into a fifth country. The company capped the year off with the unveiling of Dreams Sugar Bay St. Thomas. AMResorts, a market leader in Mexico, also opened the 441-room Dreams Sands Cancun Resort & Spa, Zoëtry Villa Rolandi Isla Mujeres and Secrets Playa Mujeres Golf & Spa Resort in November. Last year, meanwhile, was notable for AMResorts in other areas as well. The company introduced a comprehensive travel agent rewards program, AMRewards, which enables agents to accrue points that can be used for free AMResorts’ hotel stays, credits redeemable through prepaid cards, client perks and an array of co-branded marketing materials. AMResorts also made strides on the sustainability front in 2014 and was recognized by the Rainforest Alliance 2014 Sustainable Standard-Setter Award for its sustainability efforts. To date, 21 AMResorts properties in Mexico and the Caribbean have received Rainforest Alliance verification. Last but not least, Zoëtry Paraiso de la Bonita Riviera Maya, the winner of TravAlliancemedia’s Travvy Award for best resort in Mexico in Latin America, earned the AAA Five Diamond Award for the 12th year in a row. 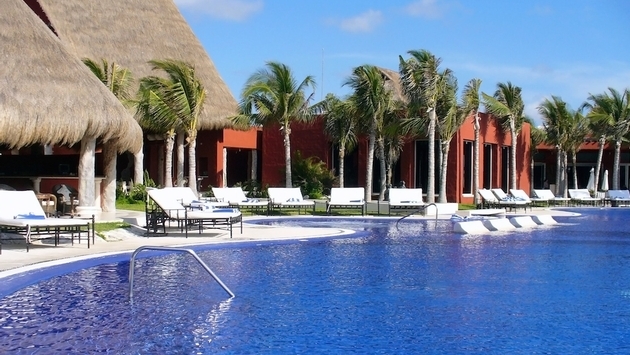 Secrets Maroma Beach Riviera received the AAA Five Diamond Award for a second time.